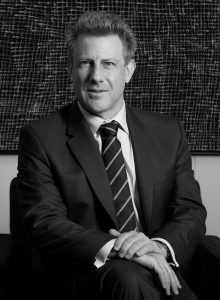 Sydney Jacobs is a barrister at 13th Wentworth Selborne Chambers. He is also an arbitrator and expert determiner. Sydney obtained his BA. LLB at the University of Cape Town, South Africa, and read for his LL.M at Cambridge University, England. He later obtained a Higher Diploma in Company Law from the University of the Witwatersrand, South Africa. Sydney has a commercial equity practice with a focus on property litigation e.g. easement disputes, leasing matters (e.g. rectification and specific performance of leases) and contracts for the sale of land e.g. relief against forfeiture of deposit and building & construction disputes. He is the sole author of two major loose-leaf services, namely: Damages in a Commercial Context, and Injunctions: Law and Practice, both published by Thomson Reuters. He part authors the leading work, Commercial & International Arbitration, likewise published by Thomson Reuters.